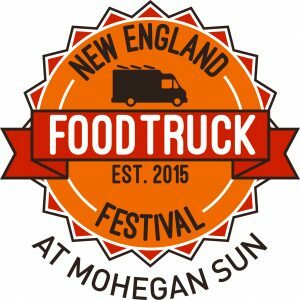 UNCASVILLE, CT (April 15, 2019) – The New England Food Truck Festival returns for a fourth year at Mohegan Sun. This festival will feature more than 30 food trucks, live music, entertainment for kids, face painting, field games and so much more. Saturday night ends with an explosive fireworks show at 9:15pm. A truly unique event where you can linger until you have sampled all of the best of what the New England Food Truck Festival has to offer! Early Access: VIP tickets provide guests with an early access pass into the festival from 11:00am – Noon. In addition to early access, the VIP ticket also includes one draft beer or non-alcoholic beverage of choice and one pre-selected menu item from select vendors. Admission: $6.00 for one-day tickets purchased in advance, $8.00 for tickets purchased the day of the festival, and $10.00 for two-day tickets. VIP tickets are $35.00 and only available for purchase online. Children under the age of six receive free admission. Tickets can be purchased online through Eventbrite or at the festival entrance. Visit nefoodtruckfestival.com for a full list of attending food trucks. Note: Mohegan Sun requires persons under the age of 18 to be accompanied by a parent or legal guardian during the New England Food Truck Festival. Unescorted minors will have their parent/legal guardian contacted to pick them up immediately. Owned by Mohegan Gaming & Entertainment, Mohegan Sun is one of the largest, most spectacular entertainment, gaming, dining and shopping destinations in the United States. Situated on 185 acres along the Thames River in scenic southeastern Connecticut, Mohegan Sun is home to two unique casinos, 1,600 deluxe hotel rooms, two world-class spas, a golf course, over 90 shops, restaurants and bars as well as three award-winning entertainment venues including a 10,000-seat Arena. Mohegan Sun is within easy access of New York, Boston, Hartford and Providence and located 15 minutes from the museums, antique shops and waterfront of Mystic Country. More information is available by calling 1.888.226.7711 or visiting mohegansun.com. Connect with us on Facebook, follow us on Twitter and Instagram @mohegansun, view us on YouTube and find us on Snapchat at username MoheganSun.